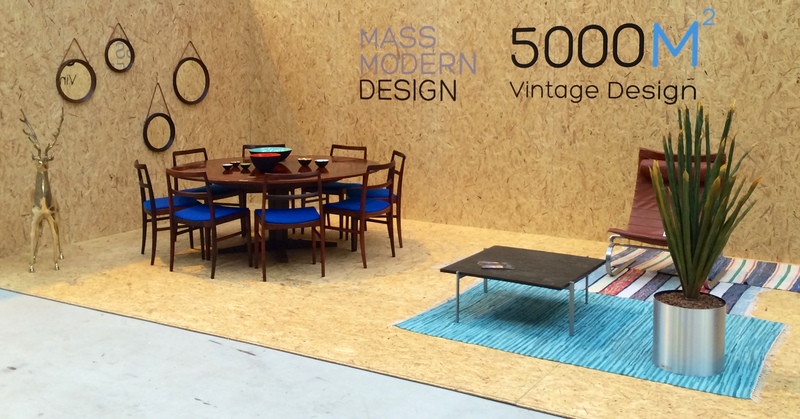 After last years success we will participate again at Design Icons Amsterdam this weekend. With great pleasure we will build a unique booth with typical MassModernDesign display. For us selling design is all about quality, forms, shapes and exclusivity. For the 2015 edition sixty quality dealers from all over Europe will return to Amsterdam on February 7 + 8, bringing their finest vintage design pieces from the 1930s – 1980s. A diversity of interior objects will be offered for sale to both professionals and broad public: from well-known classics to anonymous designs, with Eames next to Mies van der Rohe and from Italian-chic to raw industrials.